Annndooora! I don’t think I was there that summer but I still somehow burst into song for that. Barcelona for a birthday sounds like a great idea. Vamos! This was an awesome meal. 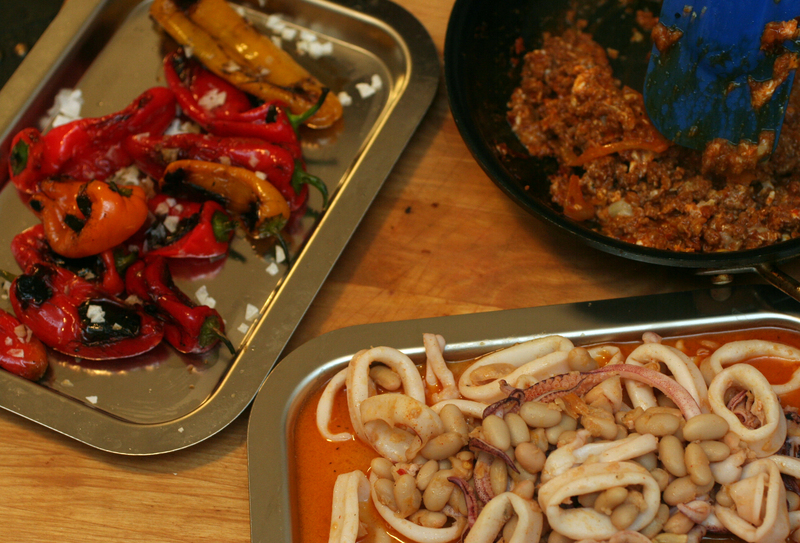 The chorizo and calamari dishes complemented each other well. Tessa gave me some of the big, flakey salt she used in the pepper dish and it is a life-changer. 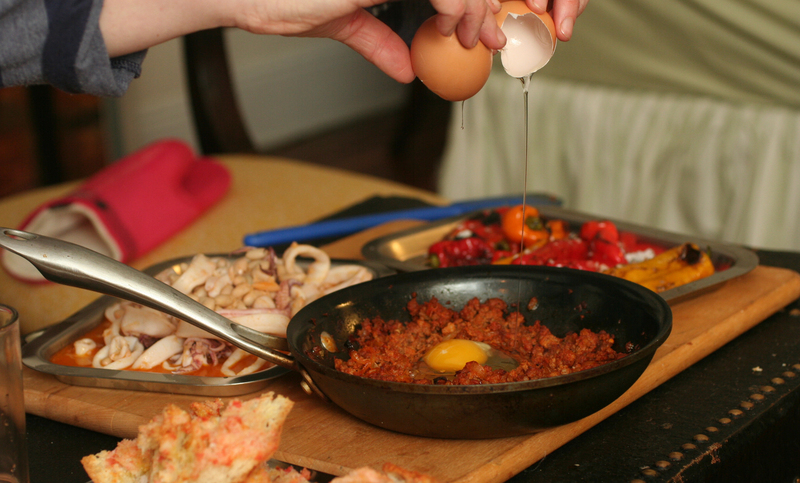 I use it on everything these days, particularly salads and egg dishes like omlettes.